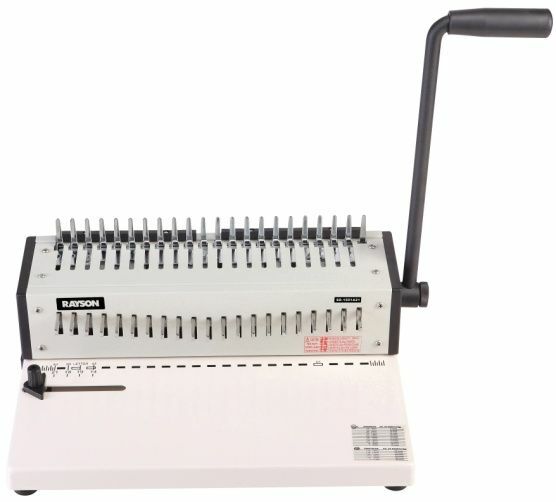 The company is the prominent Comb Binder (SD-1501A21) Manufacturer, Exporter and Supplier based in Guangdong (China). Our Combo Binder (SD-1501A21) is capable of punching up to 15 sheets of 80g A4 at a time. It also binds up to 200 sheets of A4 size paper. Our Comb Binder is available along with a special strong steel punching handle and 21 blades free pin for multi punching. Punching up to 15 sheets 80g A4 per time. Binding up to 200 sheets A4 paper. With special strong steel punching handle.